QURAMO Publishing, under its QBooks imprint presents ‘In Her Own Right- Abimbola Emmanuella Fashola’ on the 13th of May, 2015 at Eko Hotel & Suites. The title of First Lady is one that has only fully taken its place in public life in the last thirty years. The role of consort to an elected official is one that has much power to polarise as it does to unify the public. 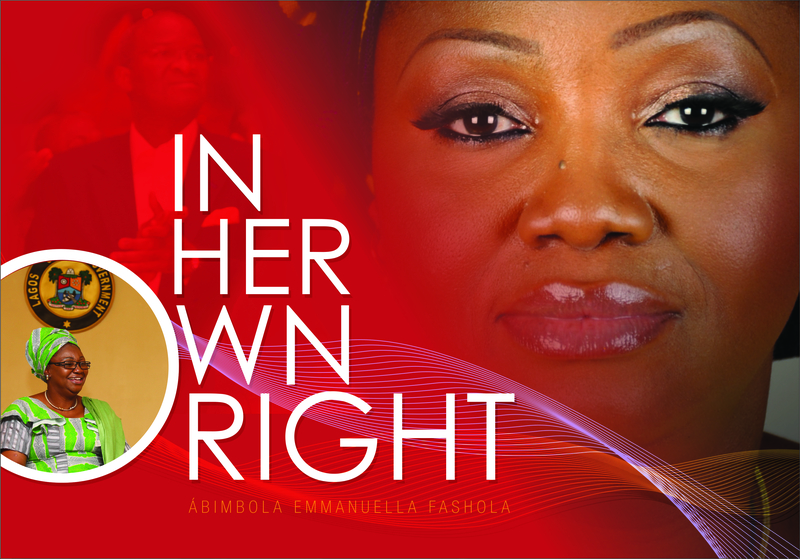 ‘In Her Own Right‘ is an attempt to document what is in fact a public service role beyond the glamour and the pageantry and to portray Abimbola Fashola’s execution of it in all its facets as partner, mother, advocate, ambassador and leader. Her work as First Lady of Lagos State is clear evidence that women working and serving in a collegial way and supporting each other can effect significant social change. This entry was posted in News and tagged book, book launch, fashola, first lady, lagos state, new book, press release, publish, publishers. Bookmark the permalink.